The five best window treatment styles for valances, cornices and shades are shown here. These are popular because they make windows look much bigger! They add color, texture, and eye appeal to a room. Window valances can also solve privacy needs, for example functioning roman shades. 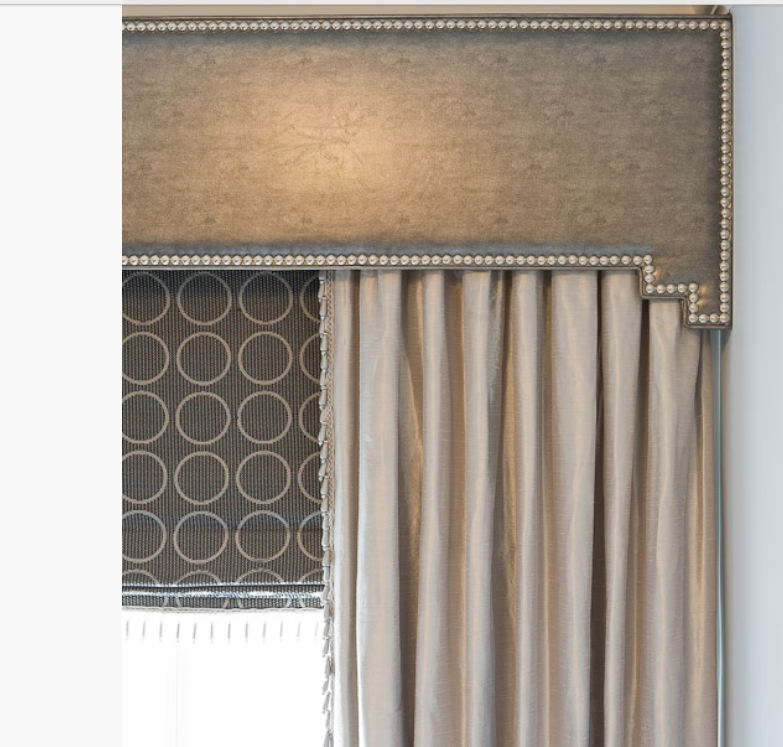 2) The best window treatment for a study or home office is a cornice with nail head trim! Notice that roman shades & drapes can be added if needed for privacy, light control, or to control the room temperature. 3) A valance with a pop of color on the edge! Notice how short the windows look in the “before” photo below! 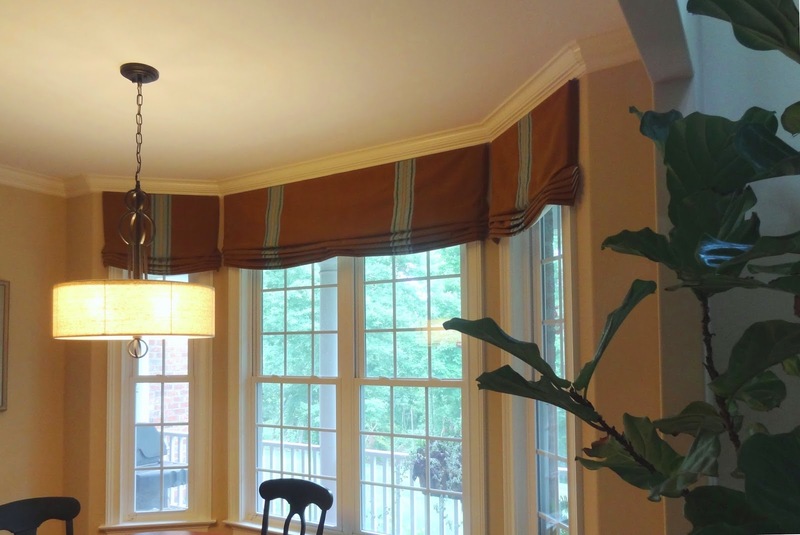 Custom Window treatment were easy for this Greensboro NC home owner. We spread out the window treatment fabrics in the room to help your visualize! It raises and lowers, or you can have drapes, or a combination of both. BEFORE above, the windows were not the same height. See AFTER below. 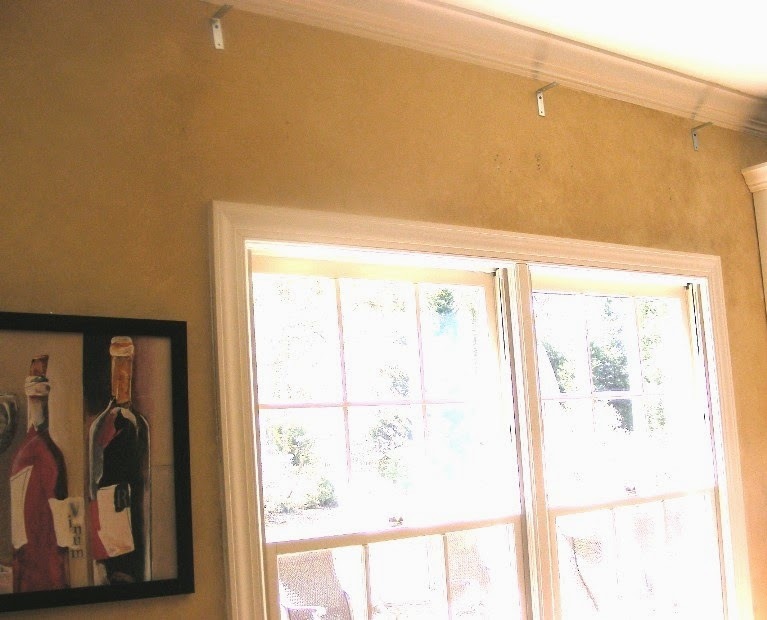 Our relaxed roman shades were hung higher than the window frame, to create the illusion of having transom windows, for a higher quality look. This is the best window treatment style for privacy. Our Greensboro NC seamstress workroom & window treatment installers make the process easy – with one stop shopping! 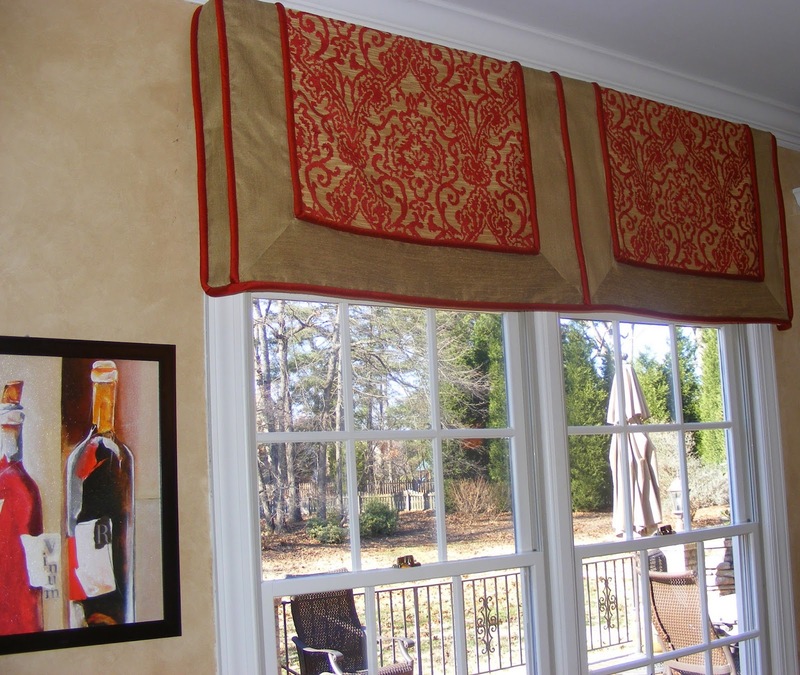 5) Mock roman shades are the best style if you don’t need to raise and lower them. Wooden blinds can hide behind the valance. 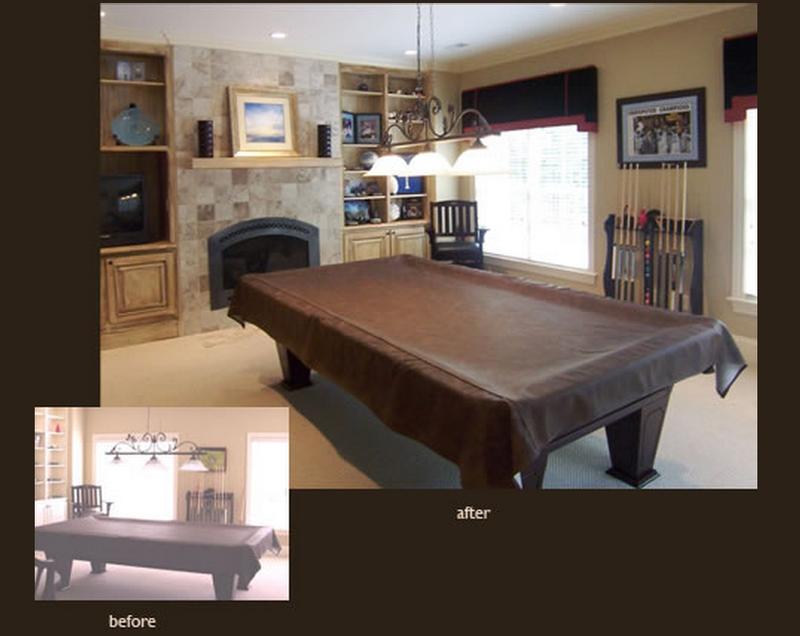 However, clients tell us they rarely lower the blinds, as it makes the room feel darker and closed in. Whether you're looking for privacy, style, or both, it can be a daunting task to choose window treatments. Installing window blinds is one of the easiest and most effective ways to instantly change the appearance of a room in your home. Furthermore, window blinds provide you with more control over the amount of light entering the room because you can cover the entire window or just part of the window according to your own needs. For example, the slats on some window blinds are fitted so tightly together that they do not allow any light in at all. This could be ideal for a room where you have a home theater or in your bedroom where you don’t want any light to wake you up in the morning. It is so helpful to see the different window treatment styles pictured. I had a bad experience selecting fabric from swatches. Spent Lots of money on something I didn't like. Selecting from bolts of fabric is so much better! I know I'll spend money on window treatments that I'll Love! !